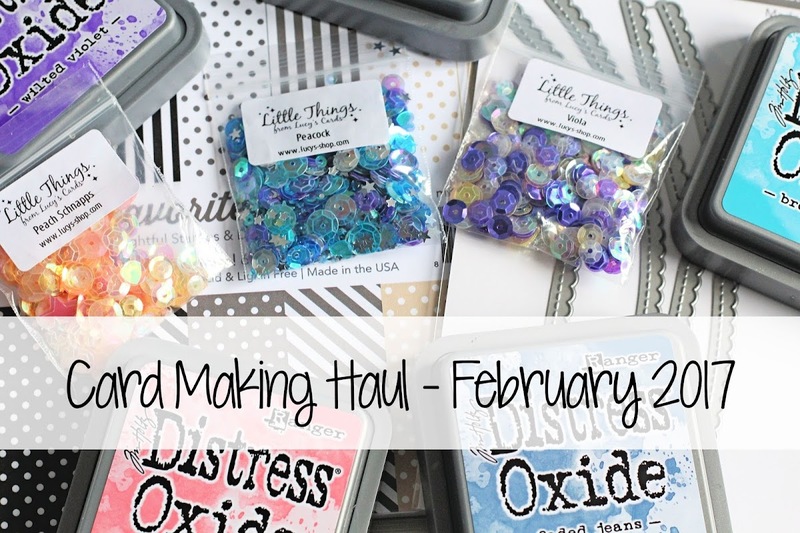 Hello there, I am popping in this afternoon to share my card making haul for February with you. There isn't that much to share with you but I did go ahead and get a few of the new Distress Oxide Inks. So far, I really like them but I need to experiment with them a lot more! Here are the links to what I have used on the card. Please click on the picture or wording to be taken to where I purchased it. Affiliate links may be used on some products. This means that if you make a purchase after clicking on my link, I receive a small commission with no extra cost to you. I truly appreciate your support when using these links. Thank you so much for visiting me today. I hope you are having a great day! Love the colors of those oxide inks and your fun sample!!! ooo like your selection. I've ordered some oxide inks on preorder cant wait to have a wee play.